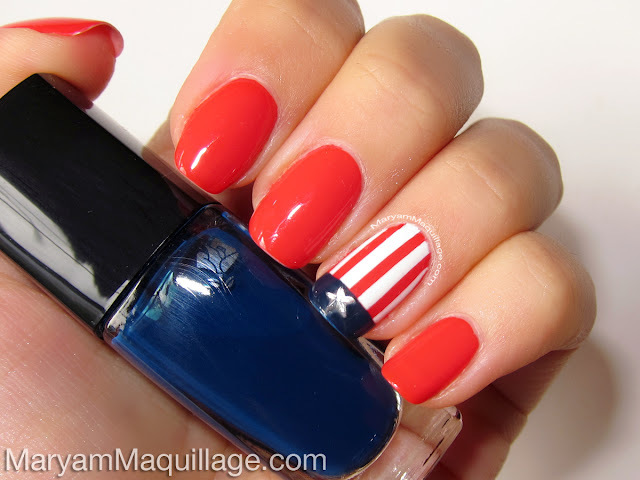 Maryam Maquillage: Americana Nail Art for the Fourth! Apply your base coat and follow with one or two coats of red nail polish. Wait for the polish to dry. Apply striping tape to the nail of your choice. Cover your entire tip horizontally (you can use any tape for this), then use thinner strips of tape to create vertical lines. You may need to double up the striping tape to create thicker lines. Working with one nail at a time, paint one coat of white polish over the tape and peel all the striping tape off immediately. 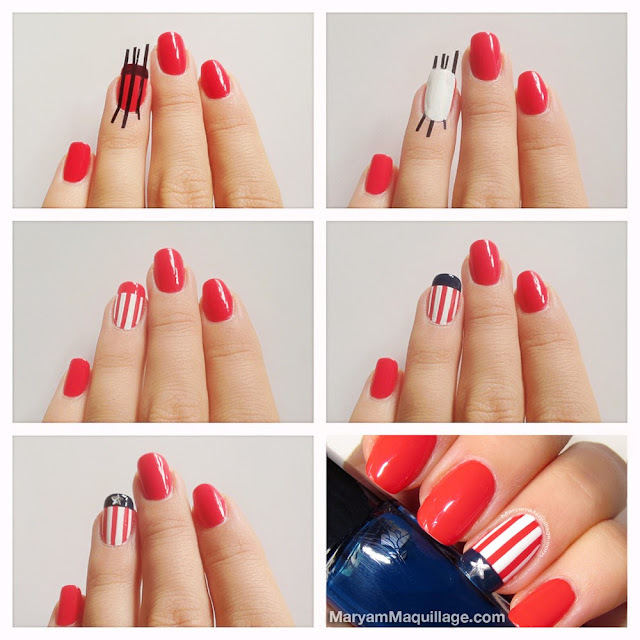 Paint the tip of the nail using navy blue polish, and follow with a top coat to even out the design. Add one or more rhinestone stars to the center of the blue nail tip. SUBSCRIBE to my YouTube Channel for video tutorials & Nail Art! it looks so simple! but beautifull! and I follow you back..